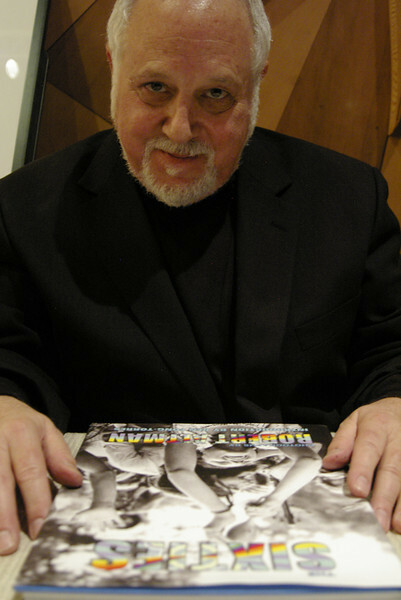 Robert Altman, photographer, "The Sixties" booksigning at the Record Plant, Sausalito, CA, August 30, 2007. Is that my Uncle Robert? I havn't seen you in way to long. Well, you still look good. You just look a little Greyer and like you have been working HARD! WELL, MAYBE U CAN HELP ME GET MY PORTFOLIO 4 MODELING AND ACTING 2GETHER. I'M WORKING ON GETTING AN AGENT IN SF. POSSIBLY @ CITY MODEL MANAGEMENT OR CHIC MODELS. I'M SURE YOU WOULD B ABLE TO HELP YOUR LONG LOST NIECE OUT. MUA!